In Latvia, activated charcoal tablets are sold in most pharmacies, they cost hardly anything, and are labelled as a supplement. For a long time here they have been used for things such as flatulence, diarrhoea and other types of stomach upsets. Another option is to pop a couple tablets before going out drinking, to prevent a hangover. I was reminded of this remedy on my trip, and decided to have a look at the science behind activated charcoal. 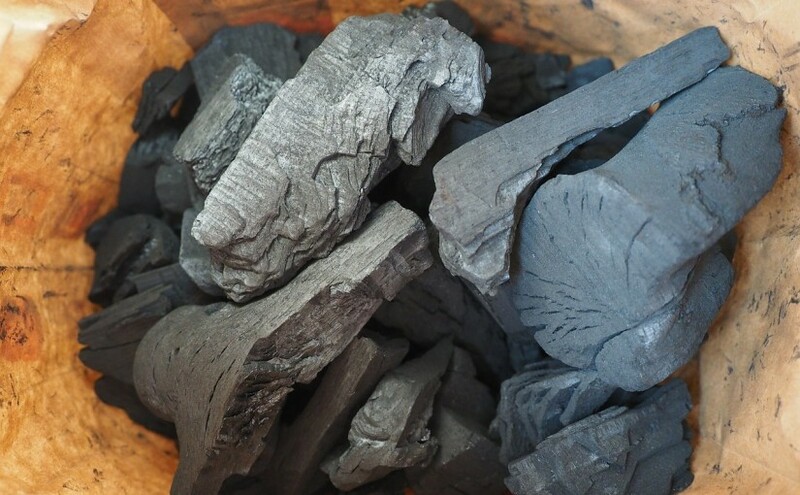 It’s also known as activated carbon, because it is in fact a type of carbon which has been processed in high heat to contain millions of micropores which immensely increase the surface area. This area boost is so significant, a gram of activated charcoal can have the surface area of more than 500 square metres, or roughly two tennis courts. The resulting type of carbon is widely used in filtering systems, not just health. If you’ve never heard of activated charcoal as a medicine, you’ve probably never been poisoned, or don’t live in a country where it’s a common folk remedy. Or you don’t follow the various detox fads which are so abundantly found online. I certainly hope you don’t do that last thing. However, this is one of those cases when a remedy appropriated by health cranks has both real and imaginary benefits, a mixture of somewhere in-between. The World Health Organisation lists activated carbon as an essential medicine, because it is invaluable for treating overdoses and poisonings. It works in the gastrointestinal tract by attracting the harmful substances, and preventing the body from absorbing them – the carbon is then safely expelled from the body together with the majority of the poison. In such cases the activated charcoal is always administered at the hospital, under medical supervision and ensuring correct dosage, which has to be quite large. This is completely different from using it for a ‘detox’, as you can comprehensively read over on Science Based Medicine. There’s also another long exposé over at Healthy But Smart, which reviews 159 studies on the topic. Should you be drinking charcoal lemonade or eating charcoal bun burgers for health benefits, though? I don’t think so. Also, charcoal bun burgers, ew. What always seemed magical to me is how activated coal selectively absorbs the harmful/poisonous substances and somehow avoids being saturated with any other substance in the gastrointestinal tract (water, stomach acid, sugars, morning cofee, pīrādziņš, etc).